600W BLDC motor, brushless design for long life, 130 mm square flange size, making it easy to install. High efficiency and energy-saving, has a rated speed of 1,000 rpm and utilizes Hall sensor feedback. 1 hp (750W) BLDC motor with 80 mm square flange size, works on 24V/48/72/96V voltage and low noise generation, providing 3000 rpm rated speed, 1.3 Nm holding torque. It provides high performance, super power and brilliant efficiency. 1 kW 36/48V brushless DC motor in lower price, 3000 rpm rated speed, 3.18 Nm holding torque, offers a great combination of durability, efficiency, torque and speed in a compact size suitable for your application. Low cost brushless DC motor with 1 kW rated power, max power to 3.1 kW, 10 Nm holding torque, rated voltage is available with 48/72/96V DC, compact size and high power density, class F insulation for high temperature operation. 24 volt BLDC motor, 3000rpm rated speed, 1.3Nm rated torque, with 400W power rating, maximum power up to 1.2kW. Lower price brushless motor offers a great combination of durability, efficiency, torque and speed, suitable for your application. 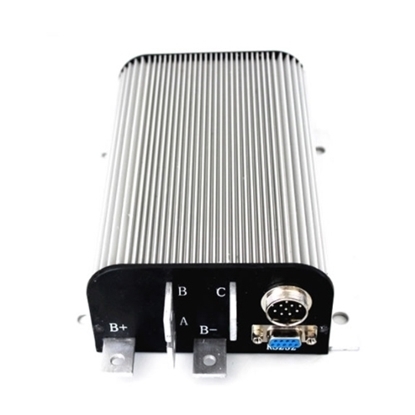 High speed BLDC motor controller is designed for electric motorcycles and electric scooters, equiped with powerful and intelligent microprocessor, up to 40000 electric RPM, compatible with 60 degrees or 120 degrees Hall position sensor and support any poles of brushless motor. 600W 72V brushless DC motor provides 6.0Nm torque and more reliable, reasonable price and manufacturer direct sale. It is widely use in automatic machinery, medical institutions, electronic equiment etc..
IP65 rating with shaft seal. Complete protection from dust particles. Can be subjected to moist or humid environments. Long life and highly reliable. Cost-effective replacement for brushed DC motors. NOTE: Tell us your application needs, we can customize your BLDC motor to meet your precise power, speed, voltage and current requirements. Armature windings are the main components of a brushless DC motor. Induced electromotive force, current and electromagnetic force generation, mechanical energy and electrical energy conversion are carried out here. The structure of the armature winding affects the most basic parameters and performance of the motor. Armature windings are also appeared to have faults, which will directly affect the normal operation of the motor. The armature winding consists of many coils of the same shape. These coils are evenly distributed in the slots of the armature core according to certain requirements and are connected according to certain rules. As the brushless DC motor capacity and voltage levels of different armature windings in many forms, but the most basic form of fear winding and wave winding two, winding group single Sheng winding and complex dish winding, wave winding single wave Winding and complex wave winding points. In this video, we will show you how to connect a ATO 400W-15kW 24V/48V/72V/96V high torque brushless DC motor with the matching controller. 1. All of the models can be customized according to your requirements, delivery time about 25 days. 2. The prices in the table are just for your reference. If you want to get the latest quotation, please feel free to contact us.